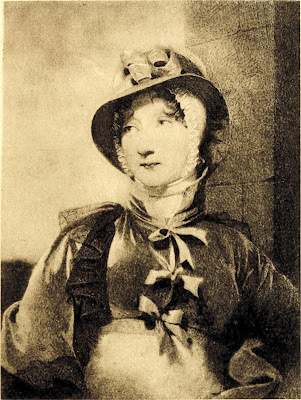 Princess Amelia (7 August 1783 - 2 November 1810) was the youngest child of King George III and Queen Charlotte. Princess Amelia was born at the Royal Lodge, Windsor, on 7 August 1783, the fifteenth child and sixth daughter of King George III and Queen Charlotte. She was their youngest child, being more than twenty years junior to George, Prince of Wales, their eldest. She was christened in the grand council chamber at St James’ Palace on 19 September (1) by the Archbishop of Canterbury. Amelia’s birth came after the deaths of the two youngest princes, Alfred in August 1782 and the much-loved Octavius in May 1783. George III had been very attached to Octavius, and Amelia in some measure replaced him in her father’s affections. She became her father’s favourite child and when she was young, the King would sit on the carpet playing with her. A pretty girl, Amelia grew to be tall and slender in person and graceful in demeanour. Like her sisters, her education was supervised by Lady Charlotte Finch and she was taught such academic subjects as English, French and geography as well as the accomplishments of a young lady – music, art and needlework. She became proficient on the piano and skilled at riding, her favourite pastime, but her frequent ill health prevented her from attaining as much as her sisters. Unfortunately, Amelia’s health was never robust, and in 1798, when she was fifteen, she became ill with tuberculosis in her knee. By eighteen, she was also suffering from erysipelas, a painful bacterial skin infection also known as St Anthony’s fire. All kinds of treatments were tried including bleeding, blistering, leeches and sea bathing, as well as various remedies such as beef tea and calomel. 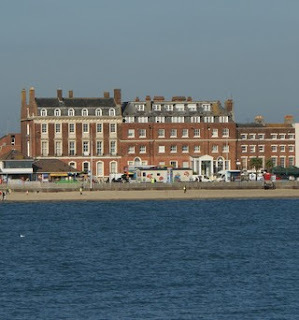 During the summer of 1798, Amelia spent the summer in the quiet resort of Worthing rather than the King’s favourite place, the more lively resort of Weymouth. The Prince of Wales was a regular visitor, riding over most mornings from Brighton to see her, and sending presents when he could not visit. He wanted her to stay with him at the Pavilion, but his parents would not allow her to be moved. Amelia was very fond of her brother George, calling him her “dear angelic brother” or her “beloved eau de miel”. She found his visits “really and truly a cordial”. In the spring of 1799, Amelia was declared to be in a state of convalescence and a grand entertainment was given by the Queen at Frogmore on 8 March to celebrate her recovery. Amelia frequently visited Weymouth with her family, but her health was deteriorating and by the summer of 1799, she was not well enough to walk on the esplanade with her sisters, but stayed in Gloucester Lodge playing music, entertaining her young niece, Princess Charlotte, or making presents for her family. The following year, she was back in Weymouth, and experienced an alarming incident. One morning she entered her bathing machine to find two men inside who refused to leave. The proprietor eventually had to frighten them out by drawing the machine into the waves and the defeated men were jeered by the crowd as they hurriedly made their exit. 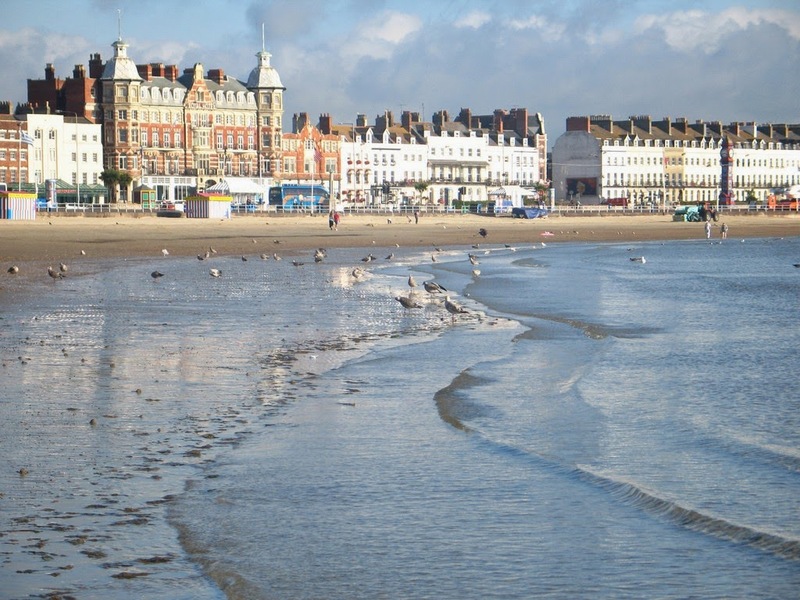 In 1801, Amelia was once again bathing in salt water for her health in Weymouth, attended by one of the King’s equerries, Colonel Charles Fitzroy. 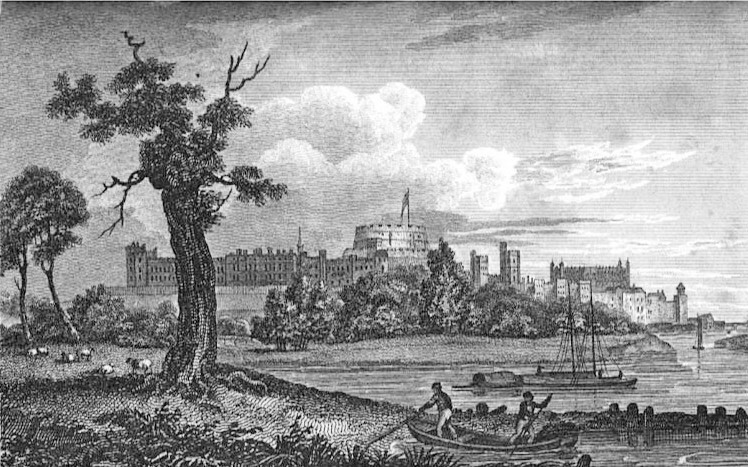 Fitzroy was twenty years older than Amelia and the second son of Lord Southampton, who was descended from an illegitimate son of Charles II. George III was devoted to Fitzroy and referred to him at Court as Prince Charles. Amelia fell in love with Colonel Fitzroy and desperately sought her brother George’s support to marry him. The Queen was vehemently opposed to the match. 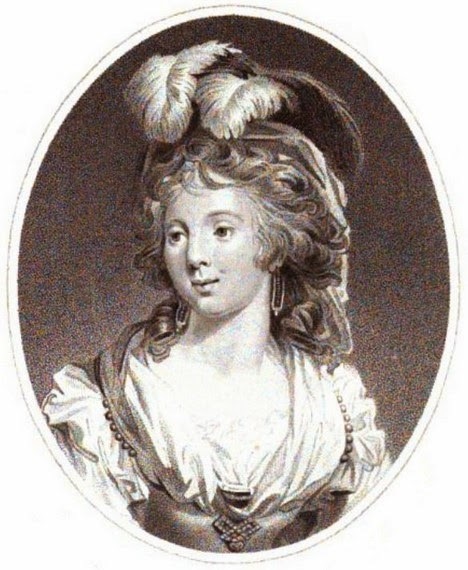 From as early as 1803, it appears that the Queen was aware of Amelia’s attachment to Fitzroy and repeatedly remonstrated with her daughter about “this unpleasant business”. Amelia never forgave her mother for her denigration of her love and complained to her brothers about the Queen’s lack of affection for her. 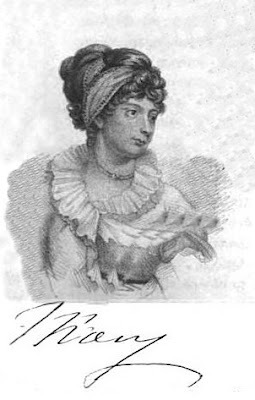 Amelia told her brother Frederick, the Duke of York, that she considered herself married already and began signing her letters AFR – Amelia FitzRoy – Charles’ “affectionate and devoted wife and darling” from about 1804. 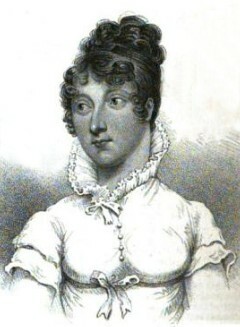 Amelia grew progressively worse and returned again to Weymouth in 1808 with her sister Mary as her devoted companion and nurse. A bathing machine was adapted for her use so that she could bathe in the sea water without effort. Other days, she went sailing, being lifted up the side of the boat in a slung chair. 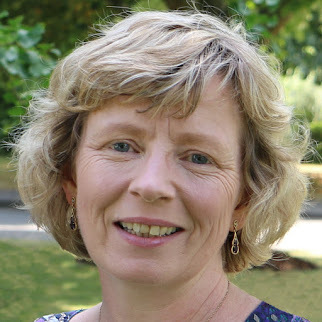 When she realised that her life was ending, Amelia arranged for the Court jewellers, Rundell, Bridge and Co, to prepare a ring as a final gift to her father. The ring was set with one of her jewels and a lock of her hair pressed under a small crystal window and was inscribed with the words “Remember me”. When the King visited her chamber, Amelia put the ring on his finger and her father promptly burst into tears. In her will, she left everything to Fitzroy except for a few legacies. However, Amelia had lived beyond her means and had borrowed money from her siblings and likely also from Fitzroy. In reality, all she had to bequeath was her jewellery, and even this, George persuaded Fitzroy to renounce his claim to for the sake of delicacy and it was given to Mary instead. Afterwards, George showed some remorse that he had not been able to better fulfil his sister’s dying wishes. 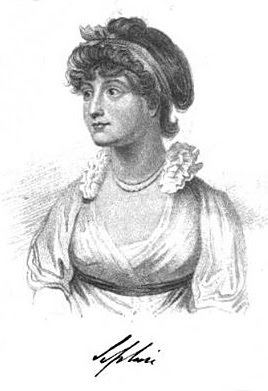 Amelia died at Augusta Lodge, Windsor, on 2 November 1810. 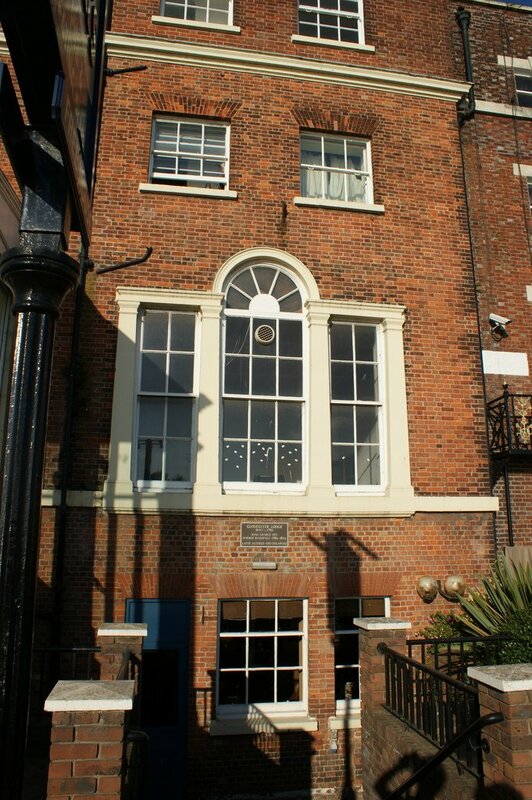 On Tuesday 13 November (2), the day of her funeral, every shop in Windsor was closed. The funeral procession was lit by torchlight and the Dean of Windsor led the service and the body was interred in St George’s Chapel at Windsor. The Countess of Chesterfield was the Chief Mourner, supported by Lady Halford, the Countess of Ilchester and the Countess of Macclesfield. The King was stricken with grief at the death of his favourite child and rapidly descended into a period of derangement from which he never recovered. (1) Some sources state the date as 17 September. (2) Some sources state the date as 14 November. 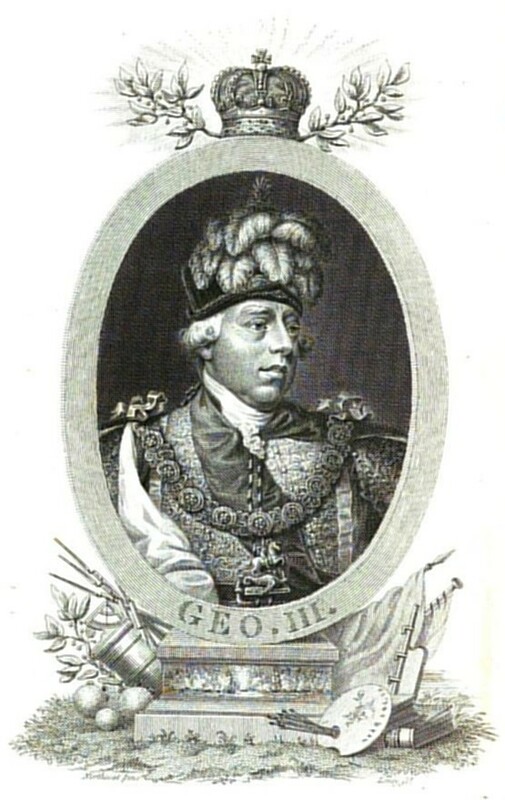 George III loved his daughters very much but seemed reluctant to allow them to grow up. He was vehemently opposed to them marrying beneath them or marrying Catholics, which severely limited their choice of potential husbands, and was anxious that the elder should marry before the younger. 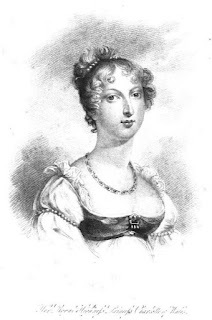 As a result, none of his daughters were married before they were thirty and Princess Mary was no exception, not marrying until 1816, when, at the age of forty, she married her cousin, the Duke of Gloucester. 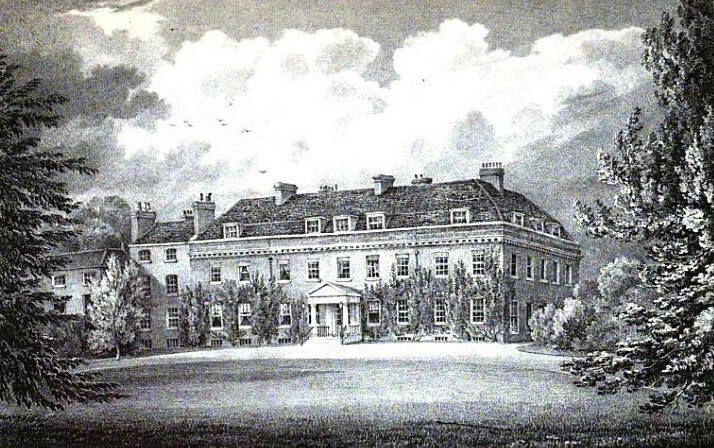 It has been suggested that the attachment between the Duke of Gloucester and Princess Mary was of long-standing, but was thwarted by opposition and duty. When Princess Charlotte was born in 1796, thoughts immediately turned to potential marriage partners for the baby who was expected to be the future Queen of England. Being of royal blood and Protestant faith, the Duke of Gloucester was deemed to be a possible candidate and was consequently honour bound to remain single. Although he was twenty years her senior, this does not seem to be too outrageous a suggestion because of the paucity of eligible husbands. However, whether this decision was made as a result of the duty or ambition of either the Duke or his parents, or indeed, a royal request, it is difficult to fathom. When Princess Charlotte broke off her engagement to Prince William of Orange in 1814, she seemed for a while to favour the Duke of Gloucester. However, her father detested his cousin and was adamant in his opposition to the match. 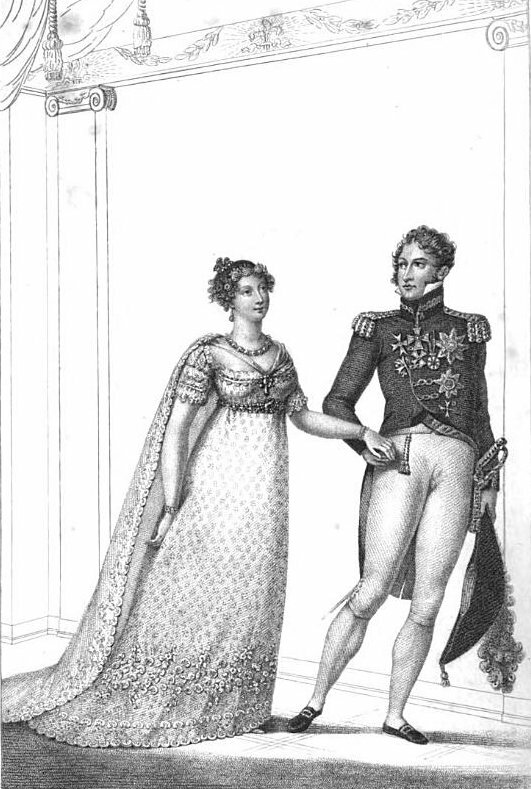 Charlotte then met and fell in love with Prince Leopold of Saxe-Coburg, and on 2 May 1816, they were married. Just two months later, on 22 July 1816 (1), Mary married her cousin, William Frederick, the Duke of Gloucester. 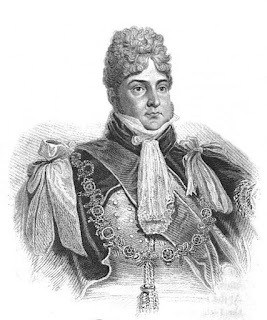 The Queen did not object to the match but the Prince Regent was not in favour for the same reasons that he had rejected his cousin as a suitor for his daughter. He had never liked the Duke and this dislike had grown when his cousin had openly supported his estranged wife, Princess Caroline. However, he had reluctantly given his consent when his much-loved sister asked for it. The alacrity with which the marriage was arranged after Princess Charlotte’s wedding seems to fit with the suggestion that the Duke was bound to her as long as she remained unmarried. The wedding was a private affair and the guests were the same as those who had attended the Princess Charlotte’s wedding a few months before. “The foreign ambassadors with their ladies first entered the saloon followed by the cabinet ministers and their ladies, who proceeded to the right. The great officers of state and those of the royal households, except those in immediate attendance, took their stations to the left. The Queen placed herself on the left of the altar, in a state chair prepared for her: Princess Augusta, Elizabeth, the Duchess of York, and the Princess Sophia of Gloucester, went to her left, with their female attendants after them. 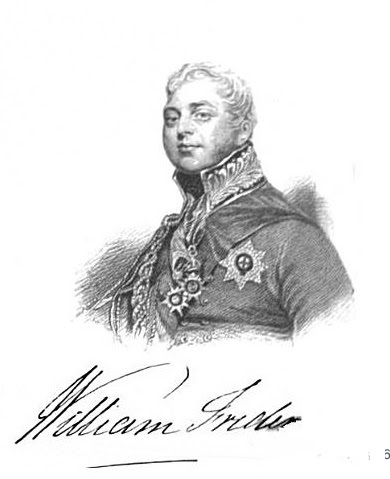 The Prince Regent took his station on the right of the altar, with his royal brethren near him, Every thing being properly arranged, the Lord Chamberlain retired to introduce the Duke of Gloucester and present him to the altar. It has been suggested that the marriage was not entirely happy and that the Duke was somewhat tyrannical in the management of his household. 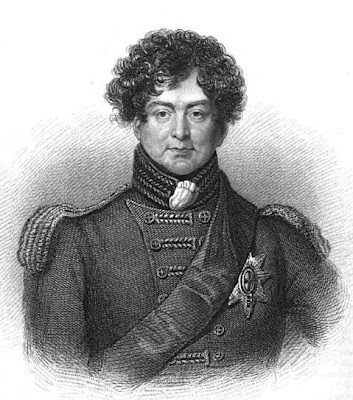 His politics certainly strained his relationship with the Prince Regent even further which cannot have helped family harmony. However, I like to believe that the Duke and Duchess of Gloucester were happy. Mary must certainly have known her husband far better than was customary for ladies of her station. 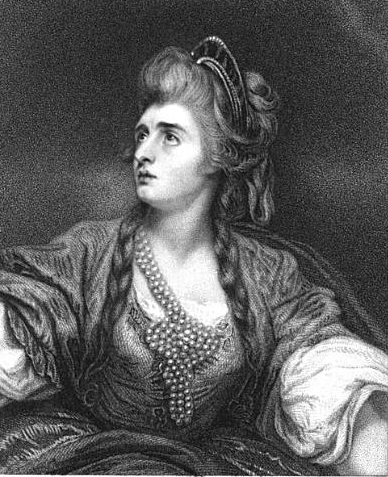 Queen Charlotte had met George III just hours before their marriage and the Prince of Wales had also agreed to marry a woman he had never seen, with disastrous consequences. The Duke has been described as boring and pompous but Mary was fond of him. Sadly, they had no children. The Duke died on 30 November 1834 and was buried in St George’s Chapel at Windsor. Mary survived him by over twenty years, living a retired life, but loved by many, including Queen Victoria and her family. 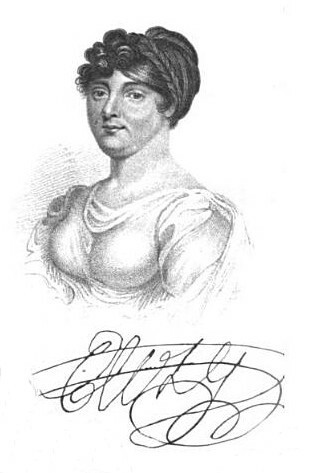 She died on 20 April 1857 and was buried next to her husband. 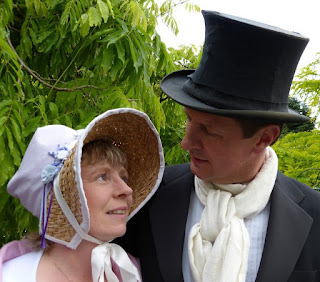 1 Some sources state the date of the wedding as 23 July 1816. On 11 May 1812, Spencer Perceval was assassinated. He remains the only British Prime Minister to have been assassinated. 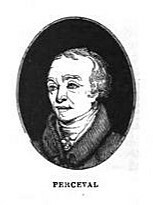 Spencer Perceval became First Lord of the Treasury in 1809 when the Duke of Portland’s health made it impossible for him to continue leading the government. 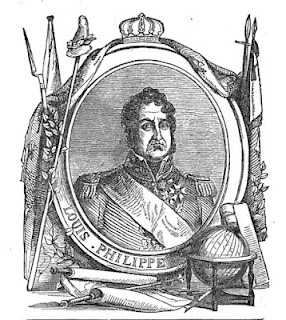 He was not the King’s first choice, but such was the division in the government at the time that many of the politicians refused to serve with one another. Perceval was eventually chosen to form a cabinet, effectively making him Prime Minister. He also kept the role of Chancellor of the Exchequer as no one else would accept it. 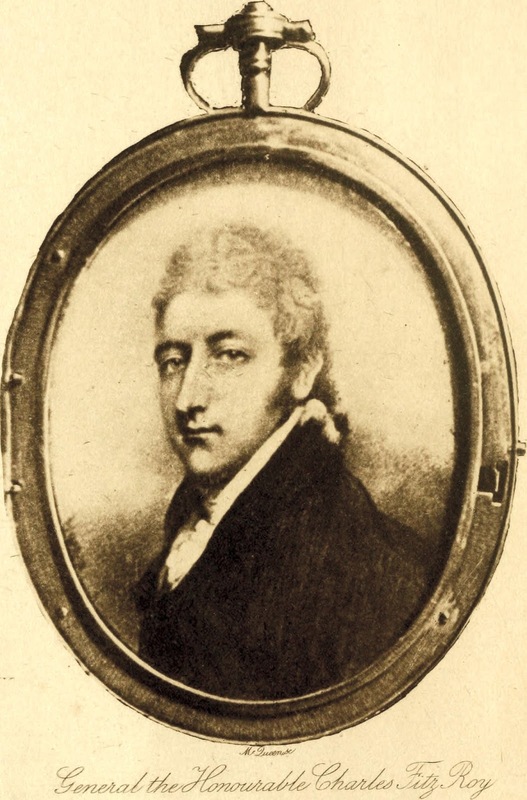 John Bellingham, a disgruntled bankrupt, shot Perceval as the figurehead of the government which he held responsible for his financial misfortune. Had he been of a mind to escape, he probably could have done so, as little attention was paid him in the furore surrounding the fallen Perceval. However, such was not his intention. 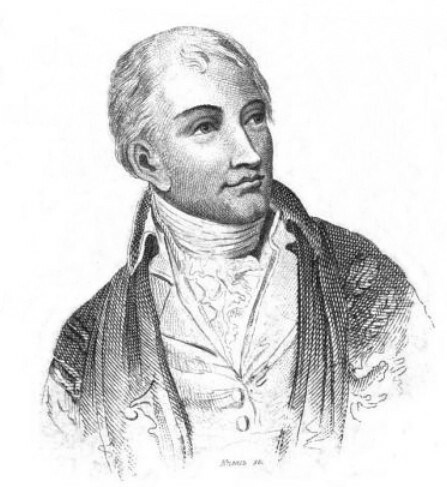 Bellingham was arrested, tried at the Old Bailey, pronounced guilty and sentenced to death. This post was written on 11 May 2012 to celebrate the 200th anniversary of Spencer Perceval's assassination. Princess Elizabeth, the third daughter of George III and Queen Charlotte, was a notable designer and artist. 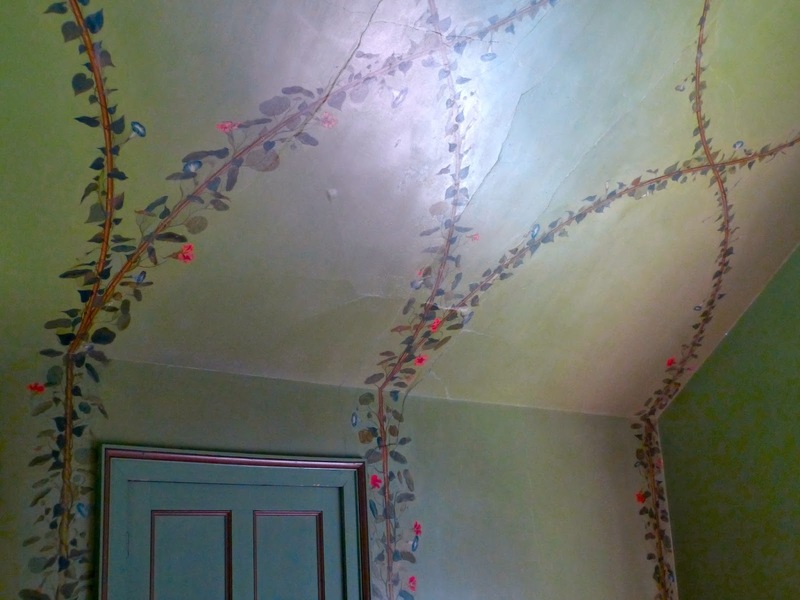 She painted a trellis on the ceiling of the Picnic Room in Queen Charlotte's Cottage at Kew. Elizabeth designed the hermitage at Frogmore - a small round building with a thatched roof situated in the south west corner of the garden. 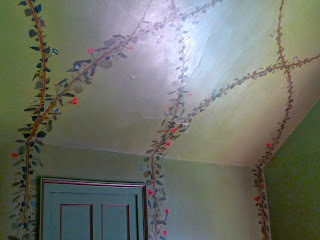 She also painted the Princess Royal’s closet at Frogmore in imitation of rich japan. 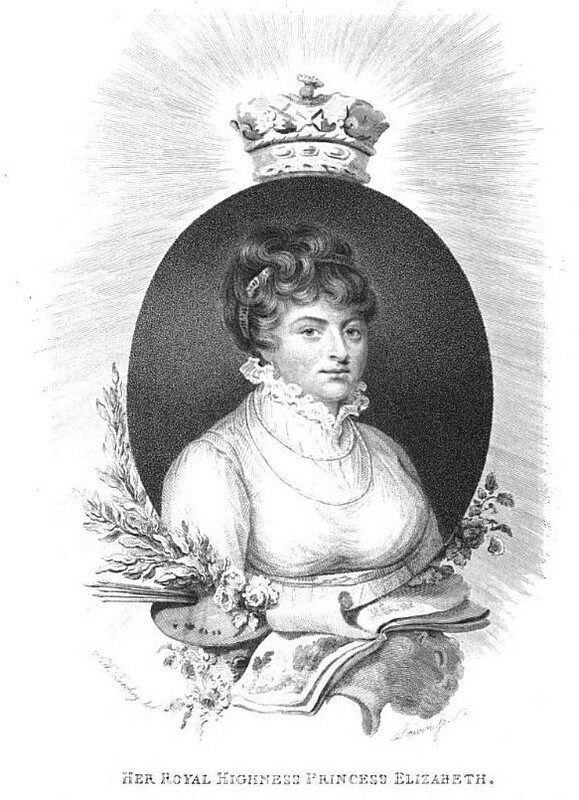 She was responsible for the decorations at the lavish entertainment given by Queen Charlotte at Frogmore in August 1799 to celebrate the recovery of the Princess Amelia. 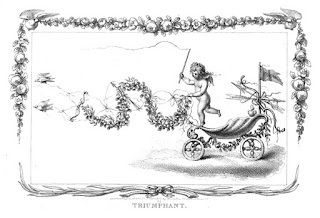 In 1795, a series of twenty-four prints was published under the name of Lady Dashwood from drawings by Princess Elizabeth entitled “The Birth and Triumph of Cupid”. 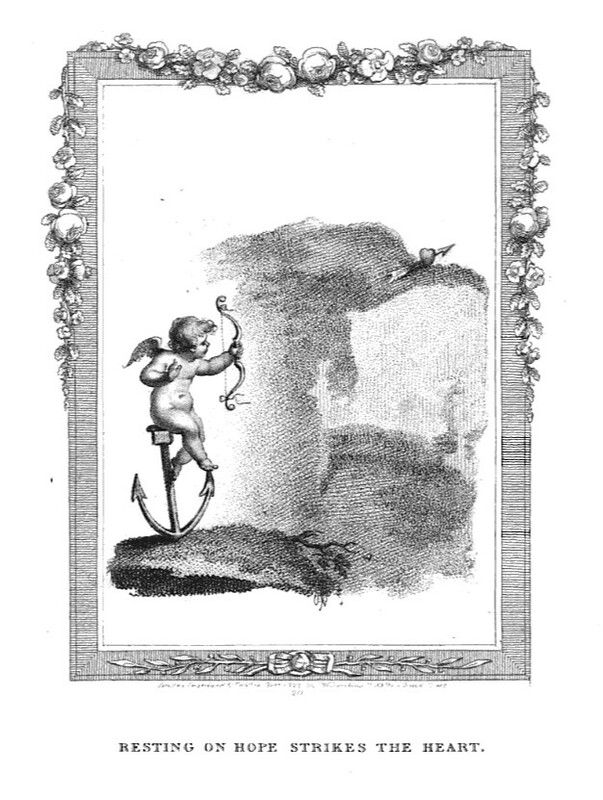 In La Belle Assemblée, the set of engravings was alternatively called “The Progress of Cupid”. 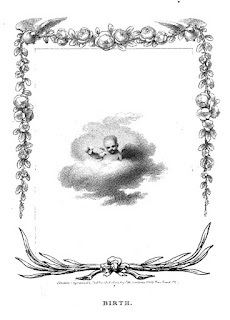 They were engraved by PW Tomkins, the court engraver, who had studied under Bartolozzi, and were published at the King’s expense. La Belle Assemblée describes the pictures as “allegorical representations of the power of love”. 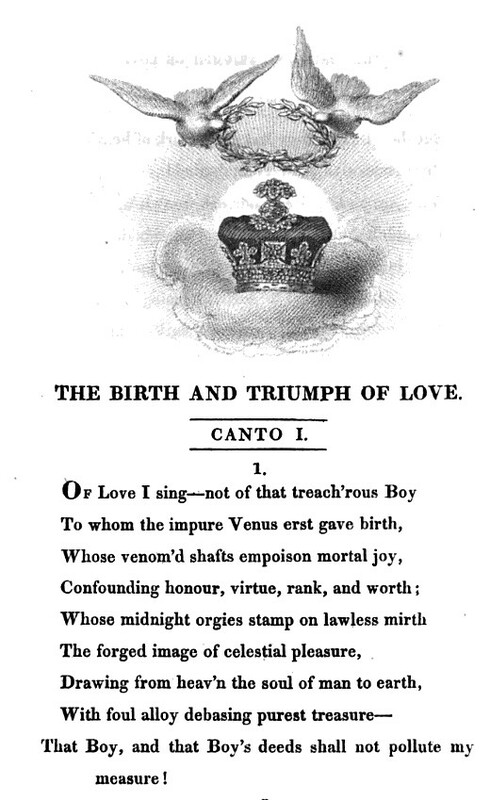 The prints inspired Sir James Bland Burges to write an epic poem in the style of Spenser. 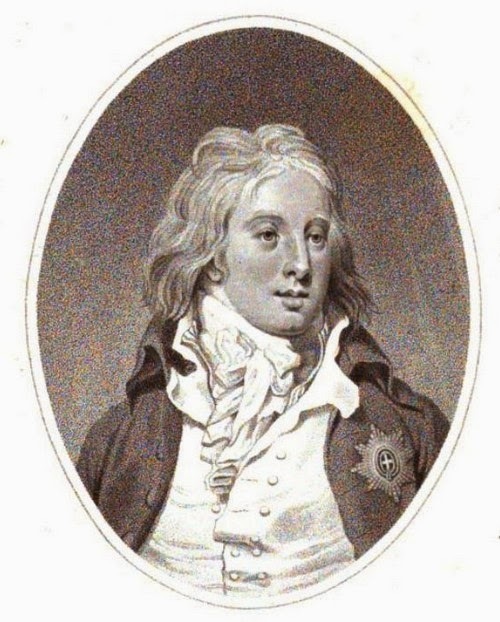 Sir James was the undersecretary of state for foreign affairs until 1795 when he was made a baronet and became Knight Marshal of the King’s household. 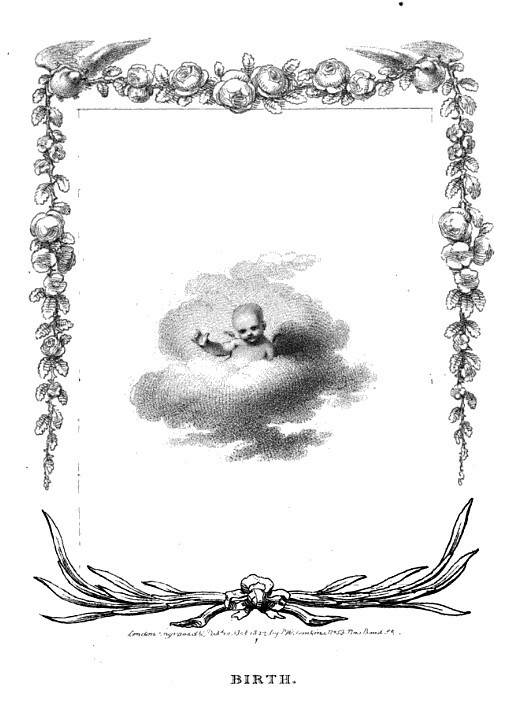 He took the name Lamb in 1821 in order to receive an inheritance. The plates were republished with the poem under the title “The Birth and Triumph of Love” in 1796 and met with considerable acclaim. A review in Noctes Ambrosianæ talks of a work of Pyne consisting of a hundred plates which are facsimiles of coloured drawings by various artists of different rooms in the various royal palaces – a History of Royal Residences. 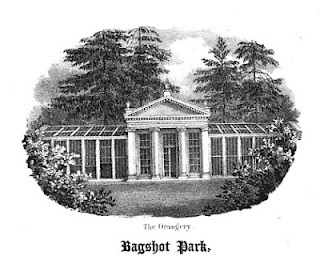 He notes that “it may not be uninteresting to know, that the vignette, representing the hermitage, in the garden at Frogmore, is copied from a plate etched by the Princess Elizabeth herself”. 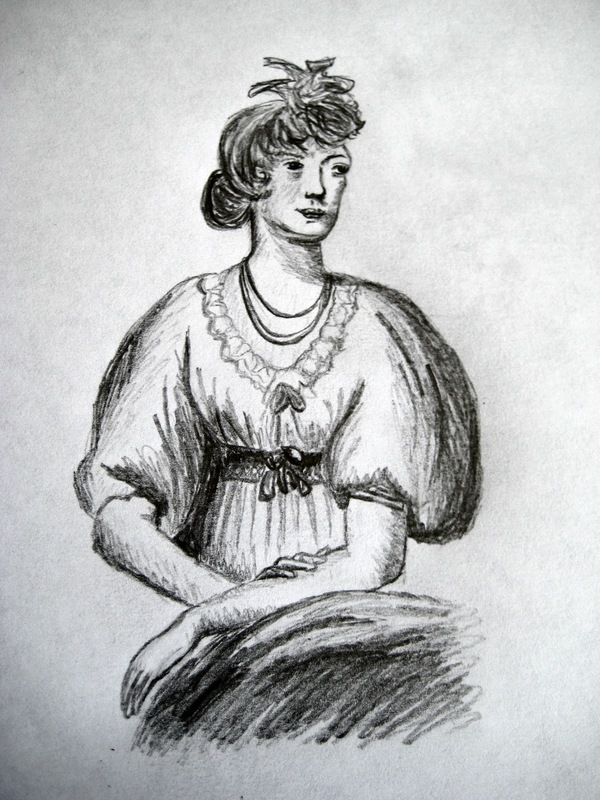 Robert Shelton Mackenzie wrote that the Princess “drew and etched, as well as if she had been an artist”. Princess Elizabeth (22 May 1770 - 10 January 1840) was the third daughter of King George III and Queen Charlotte. She was a gifted artist and married Prince Frederick of Hesse-Homburg at the age of 47. Princess Elizabeth was born at Buckingham House on 22 May 1770, the seventh child of King George III and Queen Charlotte. She was christened by the Archbishop of Canterbury in the great council chamber at St James’ on 17 June. 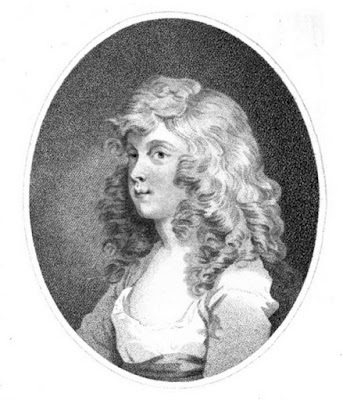 Queen Charlotte was an advocate of vaccination and so the young Princess was inoculated against smallpox on 1 October 1775, along with her brothers, Ernest and Augustus. Elizabeth and her sisters received their education at home, under the auspices of Lady Charlotte Finch. They were taught English, modern foreign languages, geography, history, music, art and needlework. Elizabeth had excellent taste in music and was particularly gifted artistically, excelling in both design work and painting. 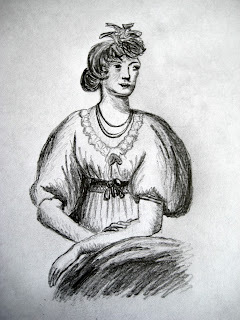 Read more about Princess Elizabeth - the artist. The Princesses were allowed very little freedom; Queen Charlotte had to approve of every book that they read and every acquaintance that they made. 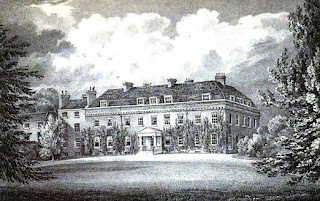 There was little variation in their routine except for the occasional outing or visit, such as in 1785, when Elizabeth was in the party that went to the Egham Races and to Oxford, and visited Lord and Lady Harcourt at Nuneham. 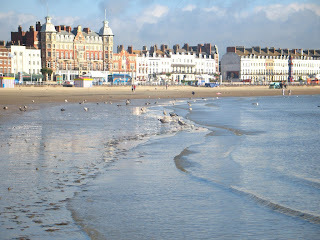 The royal family visited the seaside at Weymouth almost every year from 1789 to 1805 for the sake of the King’s health. Elizabeth also visited Bath with her mother in 1817, a visit which ended abruptly because of the death of Princess Charlotte. 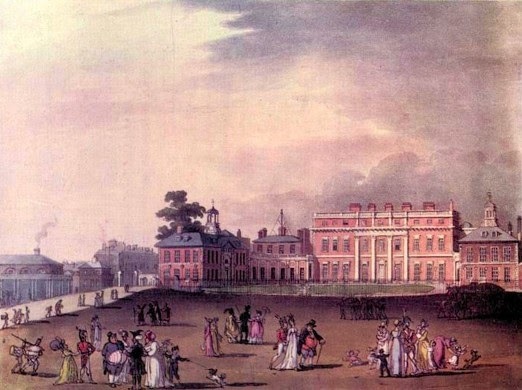 Elizabeth made her first appearance in the ball room at the King’s birthday celebrations in 1785, where she walked a minuet with Lord Rochford. Her dress was “the very counterpart of the Princess Royal’s”, suggesting that there was little scope for individuality. On 29 April 1788, Princess Elizabeth suffered an alarming incident. While she was sitting in her room, she was disturbed by the entrance of an unknown man, who must have climbed over the wall into the Queen’s garden. On the Princess alerting her attendants, the man was seized and forced to leave, but he returned a short while later to request an interview with the Princess so that he could pour out his love for her! The intruder was a hairdresser of the name of Spang who proved to be insane and was committed to Tothill Fields Bridewell. Elizabeth was very sensitive and emotional, but inclined to be rather managing. She suffered from poor health and became very overweight. As a result, her sisters nicknamed her Fatima. Elizabeth passionately desired to get married and have children of her own. Ever hopeful of becoming a bride, she drank sugar melted in water at night, supposedly to keep her temper sweet, and took long walks to prevent herself getting any fatter. In the meantime, she kept herself occupied. 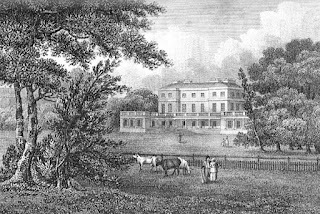 She wrote her mother’s letters, collected porcelain and kept some Chinese pigs in a field at Frogmore. Unable to have her own children, she looked after other people’s children and devoted herself to charitable works for orphans. There are unsubstantiated rumours that, as a young woman, Elizabeth had an affair with one of the King’s pages which resulted in an illegitimate child. In 1808, the Duke of Orleans, the future French King Louis-Philippe, made her an offer which she desperately wanted to accept. However, the Queen was horrified at the proposed match because he was a penniless Roman Catholic. It was not until 1818 that Elizabeth received another offer of marriage, this time from Philip Augustus Frederick, Hereditary Prince of Hesse-Homburg, with whom she had been corresponding for two years. The Queen initially seemed resigned to the marriage, but when she realised that she would soon be deprived of her favourite daughter’s company, she became very difficult, causing Elizabeth considerable distress. Eventually, the Queen withdrew her opposition, having gained the assurance that Elizabeth would remain in England for a while after the marriage. 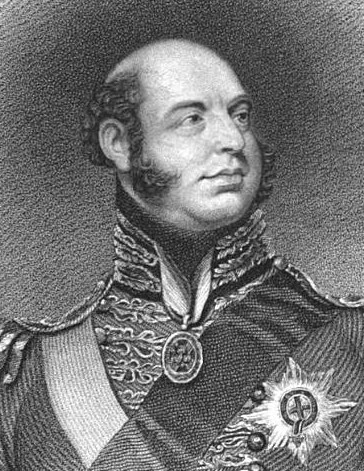 Prince Frederick did not have a prepossessing appearance: he was extremely fat, had flamboyant whiskers and smelled of garlic and tobacco. He was known to the public as “Humbug”. 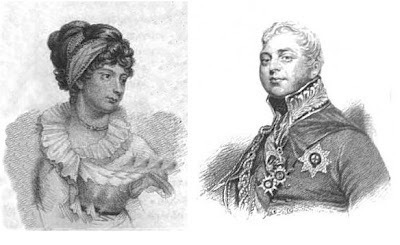 Prince Frederick and Princess Elizabeth were married on 7 April 1818 at Buckingham House. The Prince of Wales lent them the Royal Lodge at Windsor for their honeymoon, but unfortunately they were forced to travel in an old landaulet because the new coach that Elizabeth had ordered was not ready because the manufacturer had gone on strike and the journey was so bumpy that it made Prince Frederick sick! 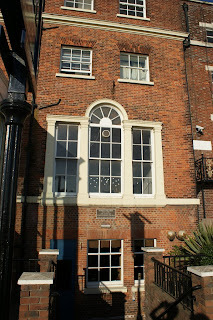 They left Buckingham House on 3 June and then, having spent a week in Brighton, they sailed for Frankfurt. Although it is doubtful whether it was a love match, the marriage appears to have been a great success. 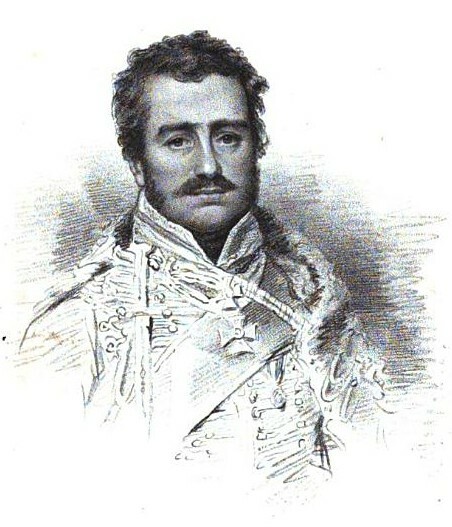 Elizabeth’s dowry funded the repair of Frederick’s castles in Hesse-Homburg and on 20 January 1820, Frederick succeeded his father as the Landgrave of Hesse-Homburg. Elizabeth seemed genuinely fond of her husband, calling him her “beloved Bluff”, but the marriage, unsurprisingly, did not produce any children. After her husband’s death in 1829, Elizabeth divided her time between Homburg and Hanover. 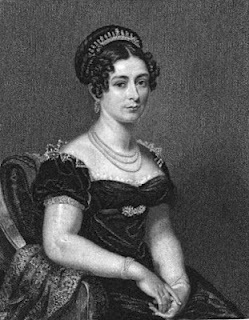 In 1835 to 1836, she visited England and spent much of her time visiting spas. 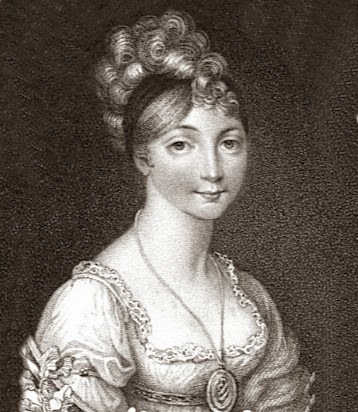 She died at Frankfurt am Main on 10 January 1840 aged 69.